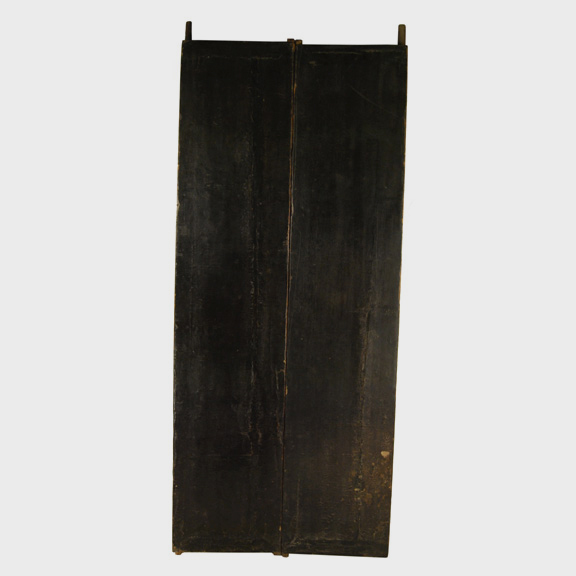 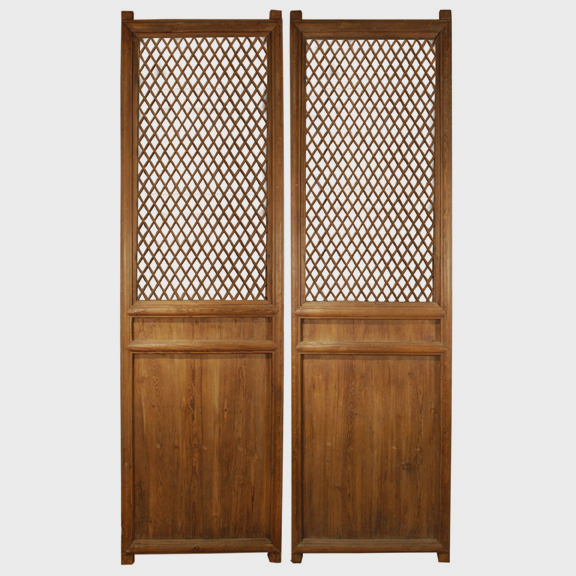 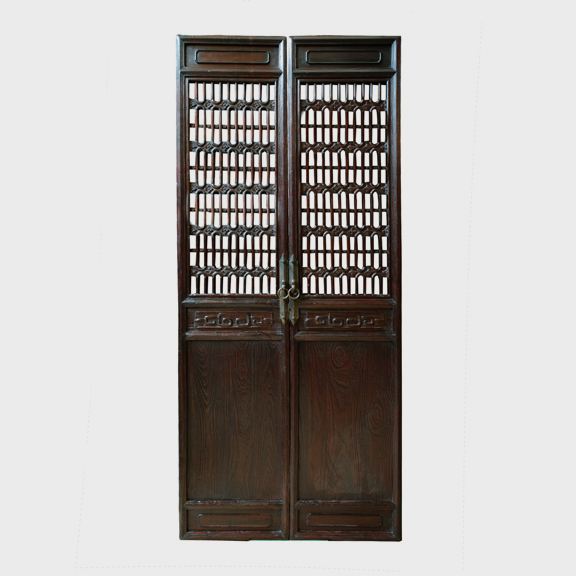 W: 24.75" D: 1.5" H: 89.5"
This pair of doors is over a century old and originally decorated a Qing Dynasty home in China’s Fujian Province. 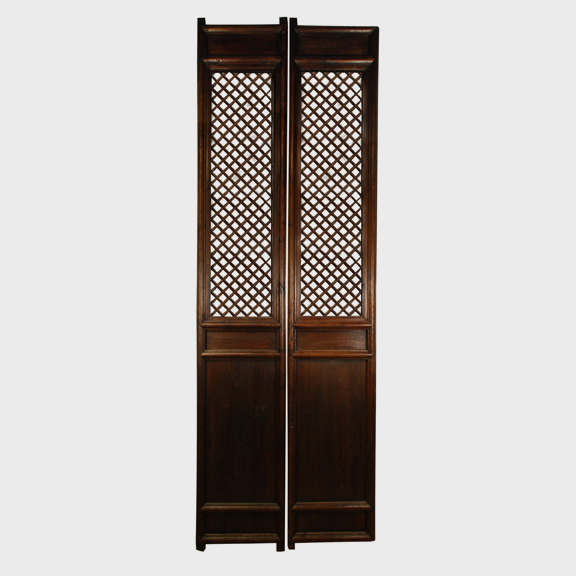 The thin cedar slats mimic bamboo, and overlap the quatrefoil windows so that when light shines through the openings the room is cast in pleasing shadows. 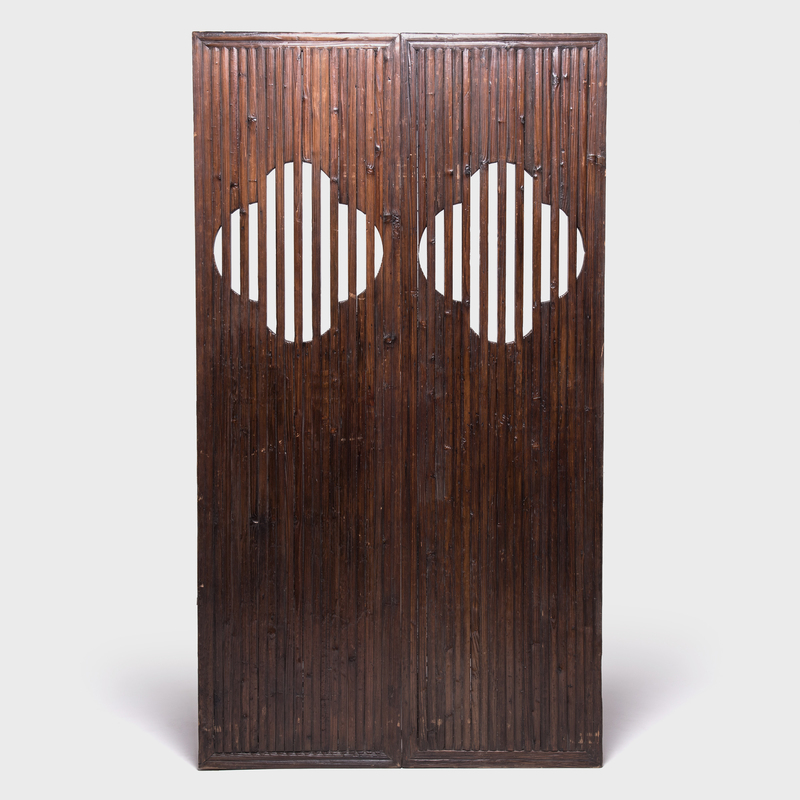 Dimensions listed reflect each individual panel.